Empties posts are a bit of a rarity for me, although I've been meaning to post this installment for quite a while now - time has been absolutely flying by! 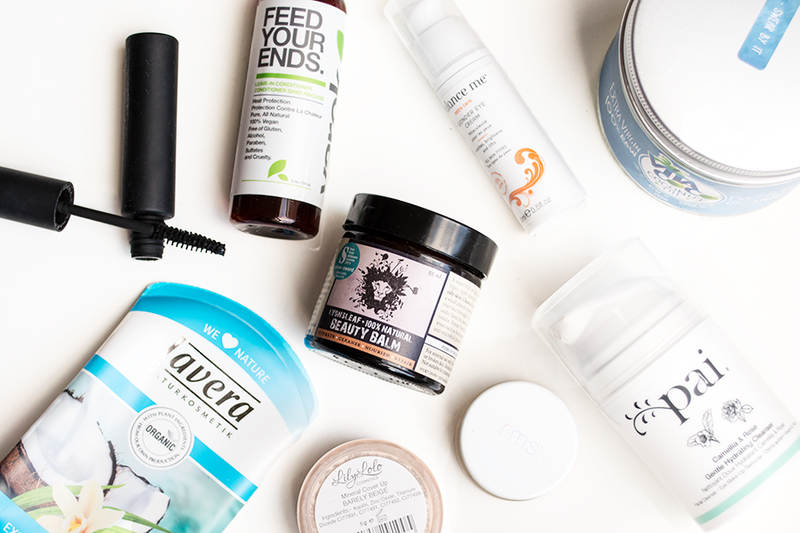 A few of these products are favourites of mine that will undoubtedly be coming back into my life at some point (when I've used up some more things)! These empties have been accumulating for several months now and there was also quite a few more products than shown, but I accidentally put them for recycling before I could take photos - oops! I've been making more effort to change my mascara about every 3 months, so I've said goodbye to the Living Nature Fragrance Free Thickening Mascara* (reviewed here) that I was using over the summer. This mascara is perfect for sensitive eyes, although it's a bit too pricey for a repurchase, unfortunately. I'm currently trying out Avril mascara - so far so good! I also finally finished off my Lily Lolo Mineral Concealer (old packaging) and I've thrown away my unfinished RMS Beauty "Un" Cover-Up (reviewed here) because it was open far too long! I actually fell out of love with it in the end as the coconut oil was too much for daily use and the creasing was too frustrating! Over the summer, I was using Lavera's Exotic Coconut & Vanilla Body Wash* but it took me a while to finish off. I have to admit I wasn't keen on the scent - it was just a bit too strong and sweet for me, even though I usually love coconut scents. They're pretty affordable so I might try another scent soon! I've finished off my third bottle of the Yarok Feed Your Ends Leave-In Conditioner (reviewed here) which I do still love, but I think I might love Briogeo Rosarco Milk even more! On to the definite repurchases! Coconut oil is a staple in my kitchen and I also love using it as a body moisturiser and an intensive overnight hair mask. Vita Coco Coconut Oil* is a brand I've purchased from countless times in the past as I know I can always rely on the quality! The remaining products, Lyonsleaf Beauty Balm (reviewed here), Pai Camellia & Rose Gentle Hydrating Cleanser (reviewed here) and Balance Me Wonder Eye Cream (reviewed here), are some of my all-time favourites and they will all be reinstated to my skincare shelf just as soon as I've used up some more products!